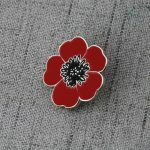 This American flag pins is a great way to show support for your country. Here we will show you a very affordable item to wear! Wear the American Flag Pin on any apparel to support your country. Let’s understand what it represents the American Flag Pin.. The flag of the United States of America, often referred to as the American Flag. It consists of thirteen equal horizontal stripes of red alternating with white. Secondly, a blue rectangle in the canton and will specifically be mention as the “union” ! Also, the 50 States of the United States of America are represented by the 50 stars, giving it the beautiful shiny. Finally, th 13 stripes represent the thirteen British colonies that declared independence from the Kingdom of Great Britain. 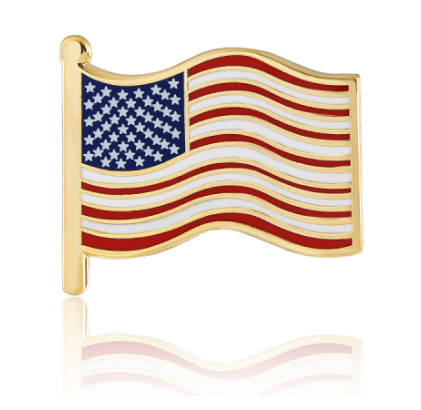 A gold finish in the American Flag Lapel Pin makes it elegant and great looking to match with any apparel. 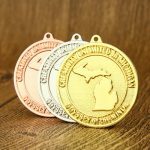 GS-JJ is a manufacturer of custom products and has in stock many different enamel pins and lapel pins at the lowest price. I know this is off topic but I just wanted to ask. Many thanks! understand who you’re but definitely you are going to a well-known blogger if you aren’t already. useful & it helped me out much. I’m hoping to give one thing again and help others such as you helped me. I will bookmark your blog and check again here regularly. I am quite certain I will learn many new stuff right here!